You've been issued with protective clothing. Who's responsible for its use? You've been issued with protective clothing. Who's responsible for its use? This article covers maintenance and vehicle checks for heavy goods vehicles and passenger carrying vehicles that you will need to know for your Highway Code theory test. The fifth wheel coupling is used to connect a tractor unit to a trailer. It allows articulation between the tractor and trailer. 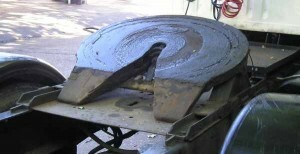 A fifth wheel coupling relies on a kingpin. It is important to check that the kingpin locking mechanism is secure when recoupling. You should do this by attempting to move forward with the trailer brake applied. Also remember to connect the dog-clip which secures the kingpin release handle. The first thing to do before uncoupling a trailer is to apply the parking brake. After leaving the cab, apply the trailer parking brake. Always park on a firm, level surface. After recoupling a trailer, the last thing to do is release the trailer parking brake. Before you’ve done this, though, you will have checked the airbrake lines are secure, the electrics are connected and the lights are working, and you’ve raised the trailer legs. Your engine has components such as the crankshaft, cylinders and pistons. If you have a basic understanding of how your engine works you will be able to diagnose problems quicker. If a new engine has just been fitted to your vehicle it is necessary to bleed the fuel system to remove any airlocks that have become trapped in the fuel line. A high-pressure fuel injector delivers fuel into the cylinders. Most diesel engines use a high-pressure fuel injector system which will deliver pressurised fuel directly into the cylinders of the engine. This system is known as a direct injection engine. If you are driving a vehicle with an automatic transmission you can use the kickdown for quicker acceleration. This is accomplished by pushing the accelerator pedal all the way to the floor, which activates a switch allowing the gearbox to select a lower gear for improved acceleration. If you are driving a vehicle fitted with a turbocharger these can heat up to 600 degrees Celsius. When you stop, allow your engine to idle a short time (around a minute) to help the turbo cool. Some vehicles will have a turbo timer fitted to allow this to happen without you waiting with the vehicle. 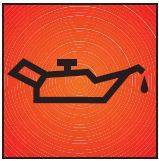 Overfilling your engine with oil could cause a loss of power. This is because moving engine parts could hit the oil. This can even damage the engine. Overfilling with oil can also cause excess pressure which can damage oil seals and cause leaks. The oil filter collects sediment from the oil. This sediment comprises tiny metal fragments from the engine. The oil filter will usually be replaced at service intervals and this reduces friction. Using poor quality diesel fuel could lead to early blockage of the fuel injector and increased wear of the injector pump. Diesel expands in the heat. If your fuel tank is filled to the brim and it’s a hot day, expansion of the fuel will cause it to spill on the road which is very dangerous, especially for motorcyclists. Don’t fill your fuel tank to the brim. If your vehicle has been sitting for a while it might be necessary to bleed the fuel system to remove any trapped air that has built up. This will prevent any airlocks in the fuel lines. In very cold weather you will need to use diesel fuel with anti-waxing additives to stop fuel lines freezing up. If you are driving in colder areas, fuel companies usually supply this by default, but check with them if you are not sure. If you are driving in a cold region and the engine suddenly begins to run very erratically, the most likely cause is that the diesel has partly solidified. This is called waxing, and it prevents the fuel from flowing properly and can cause the engine to stop. The purpose of a pre-heating device is to heat the engine in cold weather. They heat the glow plugs in the cylinders. The starter should only be operated when the indicator light goes out. Using an approved coolant solution in your engine helps prevent your engine from freezing. It also contains a corrosion inhibitor which prolongs the life of the cooling system. You should check the coolant level regularly. Vehicle operators must have an effective system in place for drivers to report vehicle defects and have them repaired properly. When you start the engine the ignition light should go out. If it doesn’t, you have an electrical fault. 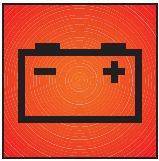 If you are driving and the ignition warning light comes on you could have an electrical fault. If any warning light remains lit, have the fault checked before setting off. Buses, coaches and trucks have a large panel of warning lights on the dashboard. A system check built into the ignition system will allow you to check that all the warning light bulbs are working before starting your journey. Familiarise yourself with the layout using your manual so you know which system is faulty if a warning light comes on during a journey. If the manual explains how to fix the issue, and you can do it, fix it immediately if it could cause a danger to yourself or other road users. If not, you will need to get professional help. If you notice thick black smoke coming from your exhaust you should stop and get help. As well as being an offence to cause excessive smoke, it could cause or contribute to an incident or collision. Plus, it’s not pleasant for other road users like motorcyclists, pedestrians and cyclists. The black smoke could be caused by any number of things, such as an over-supply of fuel. It will need to be fixed before you can set off again. If you see this warning light then you have a problem with your oil pressure. Continuing to drive with this light on could cause your engine to seize. If there’s not enough oil pressure the engine components won’t be lubricated. They will overheat and eventually will seize. 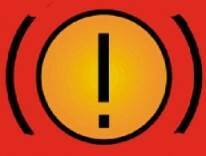 If you see this warning light then you have a problem with your brakes. If you notice your headlights not working, even if it’s daytime, get them fixed before setting off. If you notice a loud buzzer in your cab it is most likely indicating a lack of air pressure. Regularly checking your tyres will ensure that you know when to replace them, and it will keep your passengers or your load safe. Each tyre should be checked for air pressure, tread wear, overheating, items caught between twin tyres and bulges. Once the treads are worn below 3mm they lose their effectiveness rapidly. The minimum tread depth for a bus or lorry is 1mm across three quarters of the tyre. If you tow a light trailer with your lorry or coach, check the tyre pressures every week. If you notice a lump or bulge, a deep cut more than 25mm (1 inch) long, or exposed ply or cords, then the tyre is illegal to use on the road. You can see in this following video how much force a tyre on a heavy vehicle can explode with in a blowout. Energy-saving tyres can help save money as they have a reduced rolling resistance, increase fuel efficiency and increase grip. The increased grip means you don’t have to brake as much for corners. The reduced rolling resistance means that the engine doesn’t have to work as hard to get the vehicle moving, or keep it moving. Smoke coming from your tyres is not normal in every day driving and you should stop immediately if you see this as it could be rubbing on part of the bodywork which will eventually cause it to overheat or will rub through and cause a blowout. It is good practice to also replace the valve when you replace a tubeless tyre. Before changing a wheel, use chocks to block the movement of other wheels and help prevent your vehicle rolling. You should only change a wheel on level ground. Keep the parking brake applied. Once you have the new wheel on, check all the wheel nuts or studs are tightened to the correct torque using a torque wrench. Each nut should be tightened gradually, i.e. you don’t put one nut on and tighten it all the way; tighten each nut in sequence part way, then keep repeating the sequence until they are all tightened and torqued. If you get a puncture on a motorway, call for assistance using an emergency phone. If you have just changed a wheel and re-torqued the nuts, you should recheck them shortly after as they might need more adjustment. Lorry and bus tyres have codes on the tyre side walls which indicate the maximum load and the speed capability. Consistent high speeds for long distances on motorways can cause your tyres to overheat and disintegrate. This is more likely to be the case if they are under-inflated because this creates more rolling resistance that is dissipated in the form of heat. Over-inflated tyres will wear unevenly and more quickly which will cost you money. When leaving a building site you must clean your wheels and tyres. The main reason for this is that it is illegal to spread mud on the road as it causes a danger to other road users. Additionally, any stones caught in the tread of your tyres can start to wear in the grooves and create a weak spot in the tyre; and there could be larger masonry and bricks caught between the tyres which could fly out at speed and hit other vehicles. If you have a tri-axle double decker vehicle, tyres should be checked more frequently because a puncture is more difficult to detect. If you are driving along and notice that tread is coming away from one of your tyres (i.e. your tyre is delaminating), you must stop and change it. If your vehicle has different sized wheels, for example you are driving a bus with smaller wheels at the back, the smaller wheels have to rotate more to cover the same distance. 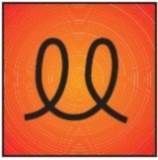 This extra rotation means that heat builds up quicker in them and they are more likely to overheat. Power-assisted steering only operates when the engine is running. If a fault develops, much greater effort is required to turn the steering wheel. If you notice that the steering just became heavier you could have a puncture in a front tyre, your load has shifted, or the power steering has failed. Stop immediately and investigate the cause. If it’s a power steering issue, many heavy vehicles become undriveable if it fails completely. If you are driving a three-axle double-deck bus and you are performing a tight turning-manoeuvre, use a low speed or you could scrub the rear tyres. So that you are aware of the condition of your vehicle you should do a daily walk-around check to check for any defects. This could be in the form of a missing wheel nut, or something more serious. It’s the driver’s responsibility to make sure the vehicle is roadworthy. You increase the chance of having a breakdown if you don’t service your vehicle regularly. Because time is money, it’s often cheaper to anticipate when to replace components that are wearing out than wait for them to fail and have your vehicle off the road. There will be a service schedule in the vehicle’s manual. If your vehicle is found to have serious defects at a Vehicle and Operator Services Agency (VOSA) spot-check it will be prohibited from further use and the Traffic Commissioner will be notified. The Vehicle and Operator Services Agency (VOSA) and the police carry out frequent spot checks of vehicle condition. Where serious defects are found the vehicle is prohibited from further use until the defects are rectified, and details of the prohibition are notified to the Traffic Commissioner. Advice about carrying out minor repairs to your lorry can be found in the owner’s handbook. The handbook for your vehicle will clearly explain what work or maintenance the driver could carry out. Always refer to it and comply with the safety guidance that it contains. If you haven’t seen a full manual for a large truck, there’s an example here. Occasionally bulbs will blow. As a professional driver you should always have spare bulbs with you so that other road users can see you. Keep a stock of all the different types of bulbs you might need as this saves you time – rather than having to go to a shop to buy one specific bulb that has blown, you can simply get one from your stash and install it. The fifth wheel coupling components should be inspected monthly or every 10,000km. Make sure they have enough heavy duty grease and that there is no sign of wear. The eyelet coupling on draw-bar units should be regularly checked for damage or wear. When changing fluids such as oil or water, or checking battery levels you should always wear gloves, whether you are driving a truck or bus. Engines accumulate grime, and your hands will get dirty, which will bring that dirt into the cab. If you are a bus or coach driver, staying clean means you present the best possible image to your passengers. Bus and coach drivers should also wear gloves when emptying waste systems. The oil level should only be checked when the engine is cold to get the most accurate reading. When you pull out the dipstick, wipe it with a cloth. Reinsert the dipstick all the way, then pull it out again and make the reading. Then replace the dipstick – you don’t need to wipe it the second time otherwise you’re just wiping away perfectly good oil. Pay attention to the colour of the oil. Good oil should be clear. If you oil is dirty then it needs to be changed. Engine oil should also be checked on level ground otherwise the dipstick can misread the level. If your brake system warning lights aren’t operated by the ignition switch, the other way to check it is to look for a ‘check’ switch on the dashboard. Air tanks need to be drained because moisture condenses in the air and can be transmitted around the vehicle’s braking system. In cold weather ice can build up in valves and pipes and cause blockages which mean the brakes won’t function correctly. If the brake pedal becomes either really hard or really soft, pull over as soon as possible and call for assistance. Minor problems can escalate into major problems if not addressed early, and a problem with the brakes could mean that you are unable to stop, which could cause an accident. If you detect a leak in your air braking system, leave the vehicle parked and find someone to fix it. Don’t drive it until it’s fixed otherwise you could end up with no brakes. To reduce wear on your gearbox and to minimise the amount of gear changes you need to make you can use selective or block shifting up or down. This is where you jump a number of gears rather than progressing up or down through the gearbox. If you are driving a vehicle with a two-speed axle, this doubles the number of gears. An electrical switch actuates a mechanism in the rear axle which doubles the choice of gear ratios, which can significantly improve the performance of a heavily laden vehicle. If you have engaged the diff lock for driving on muddy surfaces, remember to disengage it before driving on the road as it will severely affect the handling. Older vehicles require double-declutching to change gear. On new vehicles with synchromesh gearboxes, double-declutching increases clutch wear and wastes fuel. If you have been issued with protective clothing by your company for use while driving, it is your responsibility to wear it. Now you’ve learned the theory, have a go at either a lorry test or bus test.